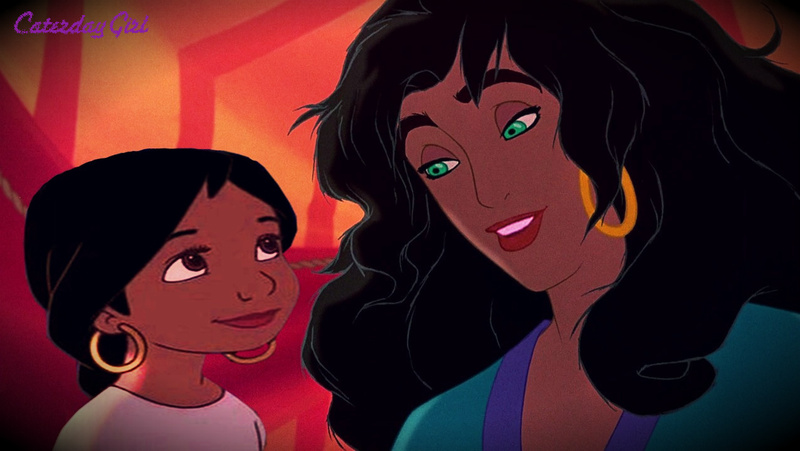 Esmeralda and Shanti. . HD Wallpaper and background images in the disney crossover club tagged: disney crossover hunchback of notre dame jungle book 2 esmerelda. Mommy and daughter moment! How sweet! I wonder who's the father. I think Aladdin is the father. I love him and Esmerelda together. Love it very mush :) Esmerald and Shanti make a great mother and daughter.